A major buzzword of 2017 was fintech. Its potential is huge—imagine growing a cashless society via e-wallets, e-payments, and more, in this region. CheQQme, a marketing channel that transforms online engagements into human traffic for brick-and-mortar businesses, sees themselves going further than just being about rewards and gamification. Founder of CheQQme, Lee Wei Chee calls it a natural progression moving forward. Payment is a pillar they’ve always wanted to be about, but instead of rolling out a new payment system or currency, they ventured into something else. Wei Chee describes it as an opportunity, a chance he stumbled upon and took. Together with a key player, they’re looking to address an unspoken topic—a topic that involves 264 million people in the ASEAN region. There’s a whole unbanked society out there to reach. First up, let’s introduce their partner-in-crime. SAMEX, a Singaporean-based company rolled out BaliPay, a unique fintech initiative that targets financial inclusion. It educates the unbanked to become bankable and focuses more on the lower tier of the community, those who might not have the privilege of owning their own bank account. That’s how BaliPay came to be. It’s a cashless system built to help Bali’s unbanked communities make purchases via a digital payment system. Think of them like a bank, but instead of giving out money, they’ll give out points for farmers to buy necessities for their farms and pay for products in retail and supermarkets. “It all started from a small village here in Bali. Not all the farmers here have any finance records for banks to give them loans so starting a business can be difficult,” explained Cecilia from CheQQme. What I thought was a cool concept is that these farmers pay for these necessities using produce from their farm in exchange for points. BaliPay acts as the “middle man” that helps these farmers sell off their produce, such as to chain hotels and other establishments. Where does CheQQme step in? The first part came when CheQQme upgraded BaliPay’s system from their current SMS version to an app version. So you can make payments using the points directly on the app itself. “If I bought something from you, I could pay using BaliPay points where you can receive it and have it changed back to cash immediately. It’s instantaneous,” explained Cecilia. Secondly, CheQQme helps incentivise the BaliPay users via campaigns. We’re all familiar with brands organising campaigns for the sake of bringing in traffic from digital platfroms to physical stores. The same concept applies here where merchants can run campaigns on CheQQme, where users can choose to pay by cash or points so their reward aspect still remains. But don’t limit BaliPay to just farmers or fishermen. Since CheQQme specialises in gamification, they’re incorporating it into schools whereby students earn rewards via points for certain achievements to use and buy something they want. I wondered if there were already users but considering that BaliPay had just launched in mid November, it’s still a fairly new system. 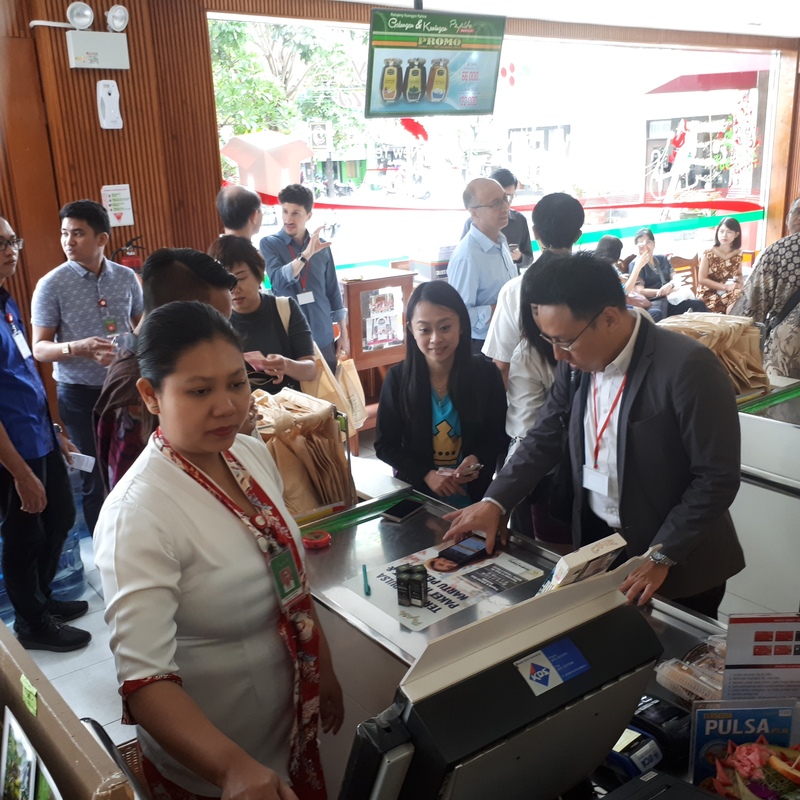 So far, they’ve done a test run with a popular franchise known as Pepito Supermarket, where they let users try out BaliPay on the CheQQme app. The customers exchanged cash to points, and got a firsthand taste of cashless payment at the counters. “We wanted them to experience the real life shopping experience with BaliPay and CheQQme and we’re pleased to know they adapted well,” said Cecilia. This fit perfectly with their vision of how payment, whether in point or currency, “completes the flow” of any purchase. Looking at how Malaysia is helping our unbanked population, I still think the initiatives aren’t enough. I’m not saying that there hasn’t been anything done—the World Bank themselves have given us a thumbs-up for being highly financial inclusive—but it’d be nice to see more initiatives such as this being rolled out here in our homeland. Having support from the government could help. 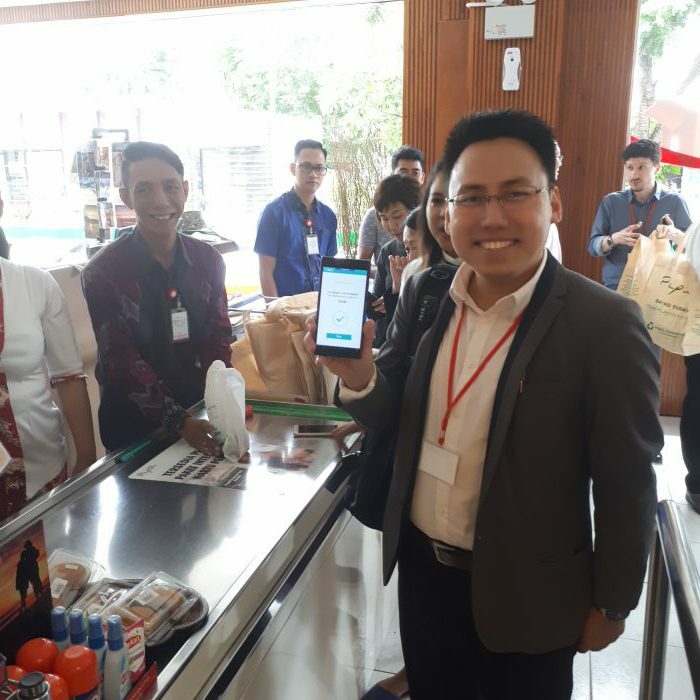 BaliPay is supported by their local government and now they’re looking into rolling this out in other areas of Indonesia such as universities in Surabaya when they officially launch next year. I’m hoping to see more of the same happen here, in wake of announcements like SarawakPay. There may be a few hurdles, such as tighter regulations, but it’s not impossible. Especially if it can help many. This is already a step forth in including the unbanked community. It gives them a “face” to what is normally a “faceless” crowd. With a population of 261 million, CheQQme sees much benefit from this partnership. Thanks to SAMEX, getting into the Indonesian market was a lot easier. “With their connections of central banks and governors, it’s much easier to penetrate into the market instead of us just going in by ourselves,” said Wei Chee. They’re looking to grow CheQQme’s brand presence further while eyeing the rest of ASEAN. Ultimately, Wei Chee shared that their objective is to address the importance of financial inclusion. In the whole of ASEAN, 70% are unbanked which means that banks don’t see them as qualified customers. One of the team’s vision is to break the poverty cycle that is a common factor among the unbanked population. And they see education as a key element in doing so. 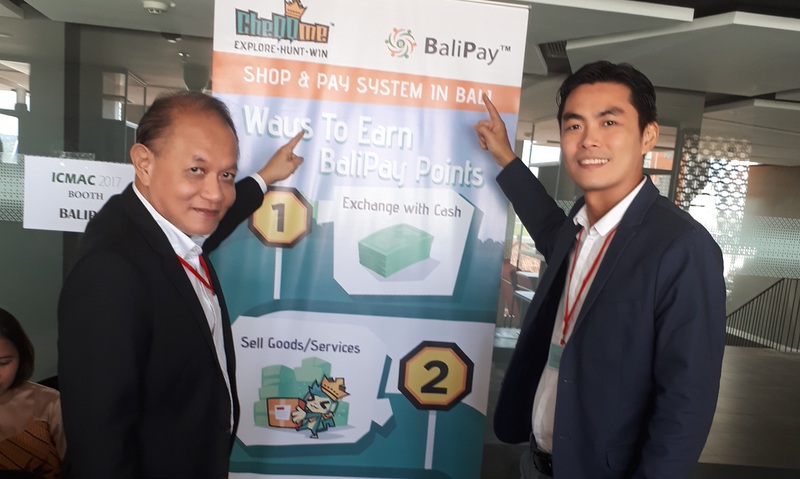 Besides playing a role in the financial services, BaliPay is also educating the community on good financial practice, such as responsibility towards loans. This article was written in collaboration with CheQQme.